God has been so faithful in showing us what it means to lay down our lives for each other, be it laying aside things that we think are our rights: our attitudes, our time and our pride. We are reminded of Paul in Philippians, “Not that I have already obtained all this, or have already arrived at my goal, but I press on to take hold of that for which Christ Jesus took hold of me” (Phil 3:12). We are humbled to be able to serve alongside each other and alongside your children. Thank you for trusting us and thank you for this opportunity to grow more like Christ as we learn that ministry is life. Amber! Originally from San Diego, California, Amber completed her undergraduate and Masters degree from Vanderbilt University in Nashville, Tennessee while on a golf scholarship. 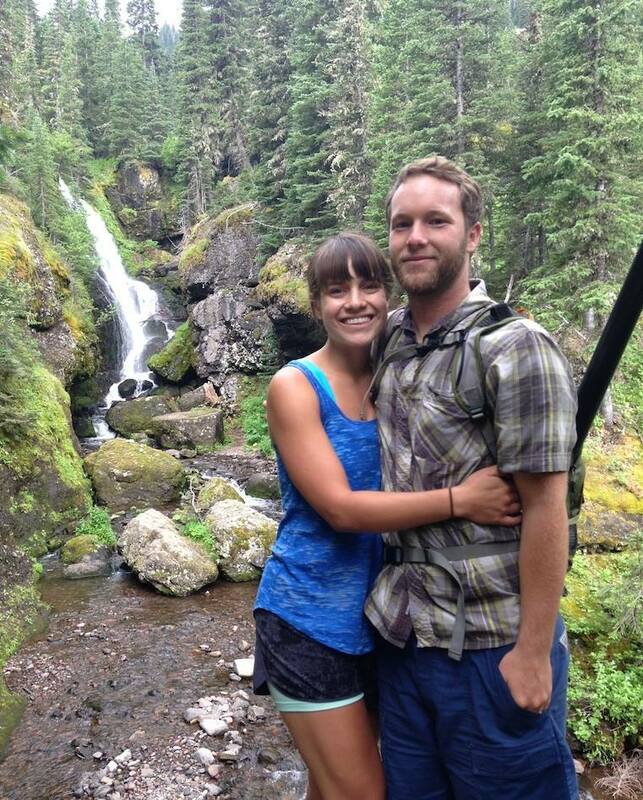 She came to Montana in May 2012 to serve as a summer missionary and God opened the door to remain in Bozeman. She is currently the Athletic Director at Heritage Christian School while also working with EPIC Ministries and being on staff at New Beginnings Church. Her greatest desire is to know Christ and to make Him known by studying His Word and living intentionally. God has also given her a huge passion for overseas missions as she has traveled to Central America five times as well as Europe to share the Gospel. She is currently taking classes in Liberty University’s online seminary program in global studies. Amber loves youth ministry, sports, anything outdoors and traveling! First and foremost, we are Christians. We have known each other since we were kidlets ourselves and it is purely by God’s grace and mercy that we are now a husband and wife. We are volunteer youth leaders at New Beginnings Church and we loooooove your kids. We are not ignorant of the honor you have given us to be part of your and your kid’s lives – it is not a task we have taken lightly; your kids are our heart and soul and we cherish the times we have spent with them thus far and look eagerly forward to the years to come. Growing up in a Christian church ourselves, it’s our heart’s desire to come alongside families and children – to help youth study and engage in Scripture so that they can defend their faith and be ready to share the message of Christ with all they encounter on a day-to-day basis. Our hope is that others may see Christ through us despite our sin and our pride – that as we struggle to live a life of discipline and authenticity – that others may see God’s grace and mercy evident, even in our mistakes, and be encouraged to follow Him. We are graduate students in Microbiology/Immunology at MSU. We love the outdoors: hiking, camping, fishing and adventuring, snowboarding (Tim) and Jo is learning to love skiing.